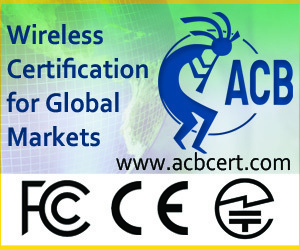 ACB provides worldwide compliance and certification services for the Wireless Industry. With operations in America, Europe and Asia, we can provide timely testing and Certification for WiFi, UWB, LTE, WiMAX, Mobile, Tablet devices and more. Wireless Device Certification is a truly global activity and affects users of billions of electronics products.